All notifications in Hive pop up in the bell in the upper right corner of the screen. However, if you want to know what's going on in Hive outside the app, Hive can let you know. Where can Hive send you notifications? What can you get notifications about? Hive can also send you notifications when you are away from the app. If you are logged in and haven't interacted with the app for 10 minutes, Hive will send you email and mobile notifications. That way you can be sure that you are updated on everything your team is doing. 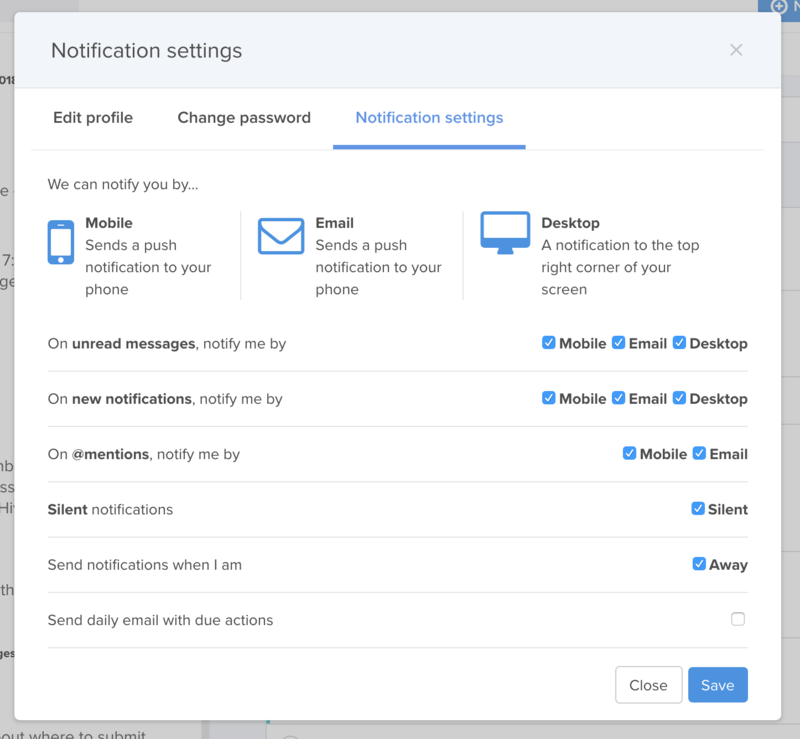 If you don't want to receive notifications when you away from the app, you can change those settings. Go to the main menu in the upper right corner of the app and select "Your Profile" and then "Notification Settings"